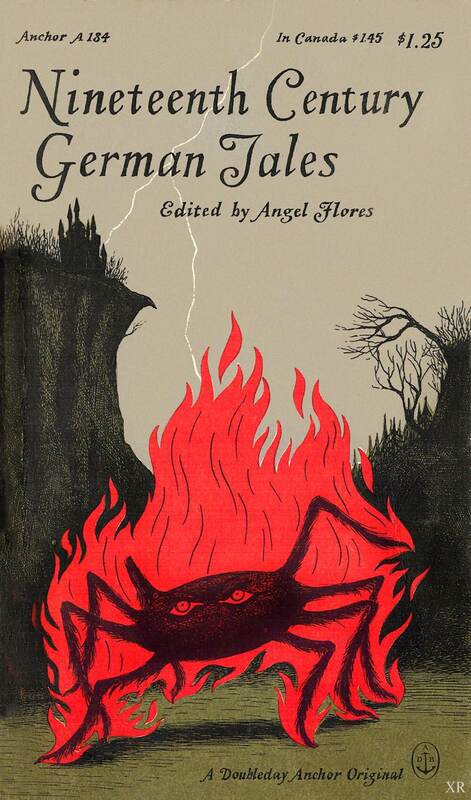 Illustrator Edward Gorey at his finest with this cover for an out-of-print paperback from 1959, Nineteenth Century German Tales. 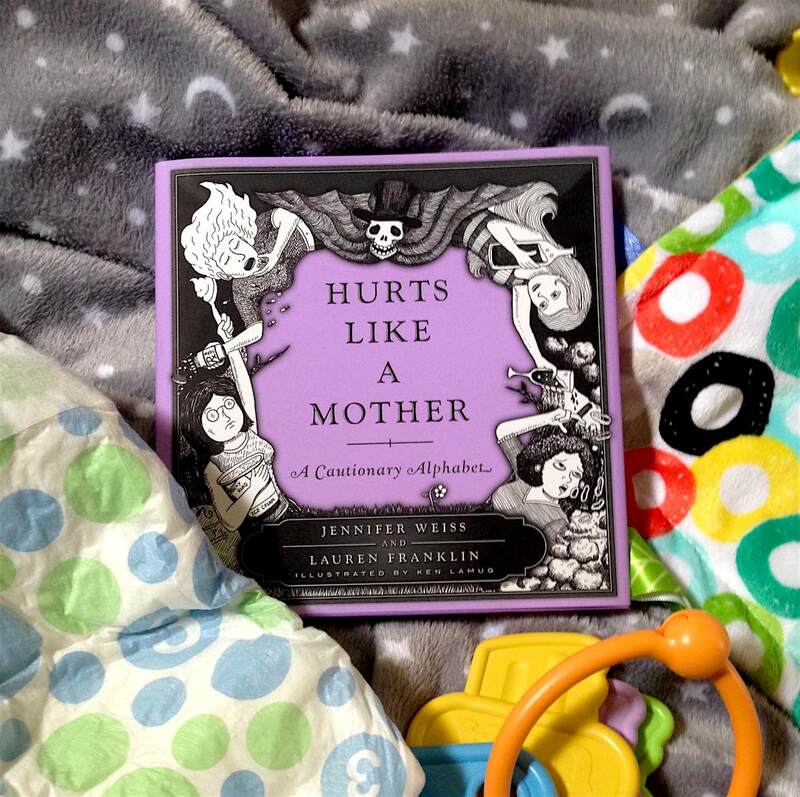 See sample pages of Hurts Like a Mother at Wink. An abecedarian picture book for grown-ups, Hurts Like A Mother is a black-and-white illustrated parody of Edward Gorey's The Gashlycrumb Tinies. 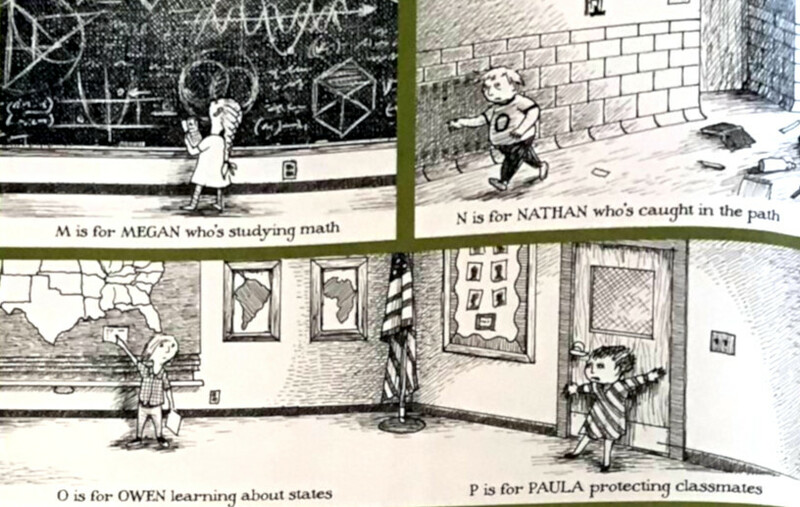 Mirroring the dark humor of Gorey's book, the hazards of parenting is explored alphabetically, each letter attributed to a different mom in peril. From the ludicrous, where moms asphyxiate from being strangled by inflatable pool toys, pass out from the price of American Girl dolls, meet their maker from flammable breast pumps, and expire from ennui over reading parenting books in the library, to the real-life issues facing moms, such as the problems with extended snow days, difficulties with carpools, and the myriad troubles with time management, Hurts Like A Mother is a brief but humorously morbid book. 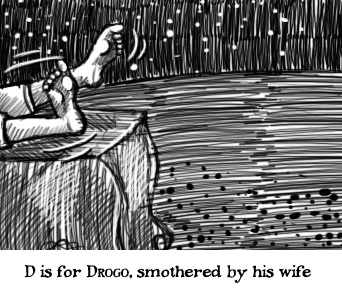 Harkening to the gothic Victorian mood from Gorey's original illustrations and poems, the stark black-and-white drawings comically depict modern parenting crises, particularly when portraying the faces of the harried mothers which range from fatigued to intoxicated to homicidal. Not completely filled with doom-and-gloom, Hurts Like A Mother ends as the final mom relaxes beach-side while being fanned with a palm-frond and casually sipping a tropical adult beverage. 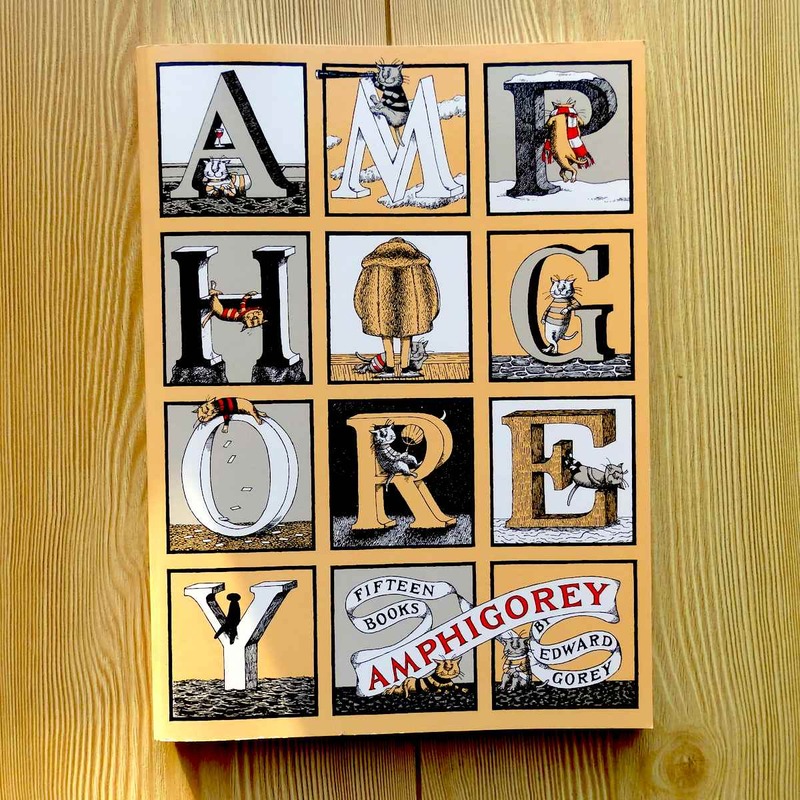 A cute cat wearing a scarf on the front cover, ABAB rhyming schemes, an amusing title that rolls off the tongue ... yes, to the naked eye Amphigorey: Fifteen Books seems like the perfect book of books to calm a troubled mind before sleeping. But do not – I repeat, do not – make this mistake. Within its pages you’ll read of tortured authors, bedevilled nuns and regretful suicides. Better to take your chances with the nightmares. A key inspiration for John Kenn Mortensen’s Sticky Monsters and Tim Burton’s entire catalogue, Edward Gorey blends the childish and macabre to create tales that are by turns moody and hilarious, unnerving one moment, delightful the next. In The Gashlycrumb Tinies (a tale of “moral instruction”) we read of doomed children, with one for every letter of the alphabet: W is for Winnie embedded in ice, X is for Xerces devoured by mice. Things only get darker in The Fatal Lozenge: "The Journalist surveys the slaughter, the best in years without a doubt." Gorey is a coy storyteller. With ambiguous black and white sketches and suggestive prose, he makes sure that the real horror isn’t taking place on the page but in our mind’s eye. Kudos to the Kennedy Library at California Polytechnic Unversity for their sweet Vine, showing off the rare book The Tunnel Calamity, by Edward Gorey.